Scottish sports fans are spoilt for choice this weekend as the Team Scotland Series continues with an exciting trio of Scottish Championship events. Building on successful events for judo and athletics in January, Team Scotland’s Glasgow 2014 stars in gymnastics, table tennis and squash go head to head with their domestic rivals in a bid to be crowned Scottish Champion and stake a claim for a place on Team Scotland at Gold Coast 2018. Olympic, World and Commonwealth Games medallist Daniel Purvis leads the line-up of stars competing at the 2017 Scottish National Artistic Gymnastics Championships in Perth on Saturday 4 and Sunday 5 March. Winner of the All-Around title for the past three years, the 26-year-old returns to the Bell’s Sports Centre seeking more Scottish Championship success, with competition set to come from his Southport club team mate Frank Baines and City of Glasgow’s Liam Davie. The trio joined forces with the now retired Adam Cox and Dan Keatings to claim an historic first Commonwealth Games gymnastics team medal for Team Scotland at Glasgow 2014, and their thoughts will now be firmly on next year’s Games in Gold Coast, with this weekend marking the first opportunity for gymnasts to post a qualification standard. Based south of the border for training, Purvis said: “It’s always fantastic to come back to Scotland for the national championships and it will be exciting to see who the new champion will be this year. Two further Team Scotland Glasgow 2014 competitors, current Scottish champion, Cara Kennedy, and Carly Smith, both from the City of Glasgow Gymnastics Club, will lead the charge for the women’s title in Perth. Also taking place at Bell’s Sports Centre, the Scottish National Table Tennis Championships will see eleven-times Scottish Champion Gavin Rumgay try to match Euan Walker’s record 12 singles’ titles. The London-based player returns to his home city as number one seed for the men’s singles on Saturday, with his chances of retaining the title and equalling Walker’s record boosted by the absence through injury of Scottish number two Craig Howieson. Robert Gordon University student and number two seed Colin Dalgleish is tipped to push him all the way. In the women’s singles, Kilbirnie’s Rebecca Plaistow is out to repeat her remarkable achievement of last year, when she won both senior and junior titles. She faces a considerable challenge with established Scottish international players Linda Flaws from Shetland and Perth’s Gillian Edwards also vying for the title. Both represented Team Scotland at the Glasgow 2014 Commonwealth Games and will provide formidable opposition. Over in Edinburgh, World Doubles champion Alan Clyne goes into the Scottish Squash National Championships as defending champion and number one seed with action beginning on Friday evening at the Edinburgh Sports Club and concluding on Sunday. With Clyne’s partner in that World Championship win, Greg Lobban, side-lined through injury, the challenge will come from Edinburgh’s Douglas Kempsell, Team Scotland Glasgow 2014 competitor Kevin Moran and rising star Rory Stewart. Top seed in the women’s competition is Georgia Adderley, runner up last year at the age of just 15. Juggling two sports, the multi-talented teenager spent last week playing football for Scotland U16 and now turns her attention back to the squash court in a bid for the national title. Other names in the mix are likely to include Robyn Young, Elspeth Young and Katriona Allen. 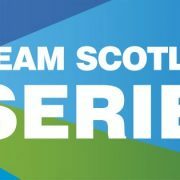 “The Team Scotland Series is an exciting collaboration between our member sports, aimed at profiling these important Scottish Championships events and the part they play on the road to representing Team Scotland in the future. The Team Scotland Series is a ground-breaking collaboration which brings together Scottish Championship events across 13 Commonwealth Games sports. Part of Team Scotland’s work to support member sports and champion the ongoing success of Scots on the national and international sporting stage, it aims to bring these domestic events to a wider audience, inspiring more Scots to excel. Tickets start from £6 and are available from scottishgymnastics.org or at the event on 4 and 5 March, subject to availability. The men’s singles competition begins at 10am on Saturday and the women’s event at 12 noon. Entry to the event is free.